Join our safari guides on a 4 Night / 5 Day Tremisana Kruger Park Safari. 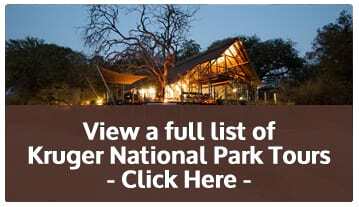 En-suite accommodation and a full Day guided open vehicle safari drive in the heart of the Kruger National Park. A sunset safari drive, bush dinner, bush walks, visit to a wildlife rehabilitation center, return road transfers, breakfast and dinner as well as a visit to the Blyde river canyon are all included on this fully packed safari experience. MoAfrika offers one the best tailormade 4 Night / 5 Day Tremisana Kruger Park Safari. Ask us about our last minute prices and other Kruger safari packages we offer.